Disagree? Pick Your Top 5 at the End of the Post! The ATP has just published what they believe to be the two best ATP World Tour matches in 2018 as part of their season review series. Both matches include Federer and they're both losses; the Indian Wells final against Del Potro and the Paris Masters Semi Final loss to Djokovic. In response, I thought I'd pick out my Top 5 matches of 2018. You can also vote on yours at the end and point out if you think I've missed any. I'll start with what was Roger's easiest day at work of the year when he took down Bemelmans in 47 minutes for the loss of just three games. One-sided beatdowns can often be dull to watch; Nadal does it by beating his opponent into submission, Djokovic does it with metronomic precision but Fed's swashbuckling style means this type of match is still great to watch as he makes it look truly effortless. In fact, Bemelmans didn't even play poorly, he just got blown away by the pace that Roger played at. The whole thing happened in the blink of an eye. Read the original Federer vs. Bemelmans match recap. One of Roger's toughest matches of 2018. It was one where he didn't play well but somehow came out on top. This was the first match he had started at 11 am since 2006 and he struggled throughout with Coric dominating from the baseline. Somehow though he found a way to win despite losing service twice in the decider and being 3-4 and a break down. Classic fighterer. 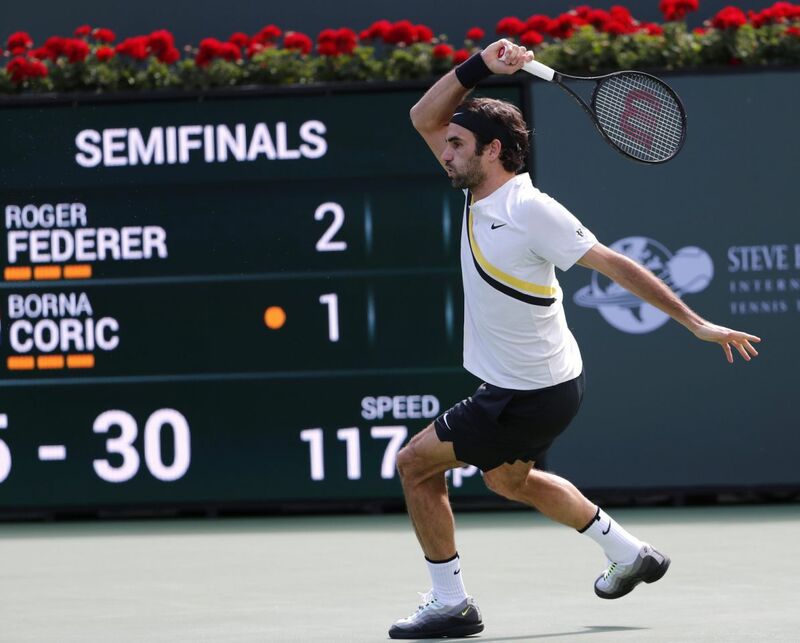 Read the original Federer vs Coric Indian Wells match recap. I was lucky enough to see this match live and Roger played great. It looked like he was fine form based on this, so it was all rather surprising when he lost to Anderson next round. In winning he was on an 81 service hold streak and had won 31 sets in a row at SW19. This match turned out to be his best performance of the Championship and it was great to see his racquet head speed from closeup against a tricky opponent in Mannarino. Read the original match report for Federer vs Mannarino at Wimbledon. Why I picked it One of Roger's best matches in the second half of the season where he was genuinely aggressive from start to finish. After a disappointing US Hard Court Swing Roger came into Shanghai off the back off a Laver Cup victory and had to come through two very tricky matches against Medvedev and Bautista Agut before meeting Nishikori. The Japanese had looked in good form heading in but Roger put in a hyper-aggressive performance to win through, fighting off a mini-comeback from Nishikori in set two and landing back to back aces in the tie-break to seal one of his more memorable matches from the second half of the season. 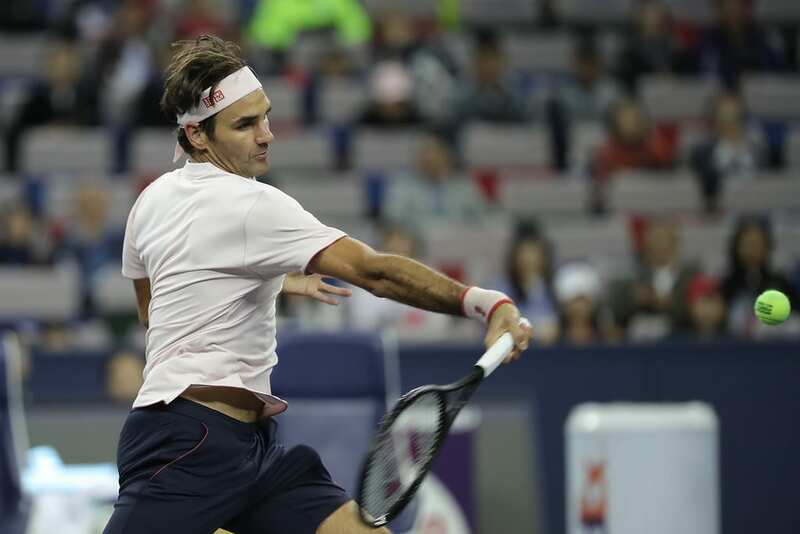 Read the original match recap from the Shanghai Quarter Final between Federer and Nishikori. Why I picked it: A classic match between the pair that could have gone either way and showcased how well their styles match up. The only loss on my list. This was just a great match from both guys and for a neutral what a great advert for tennis. In some ways neither player was at their best; Djokovic was under the weather with a cold and Roger was still having a bit of a confidence crisis (plus the hand issue we don't know much about) but they still produced a match for the ages that had a bit of everything and the crowd loved it. 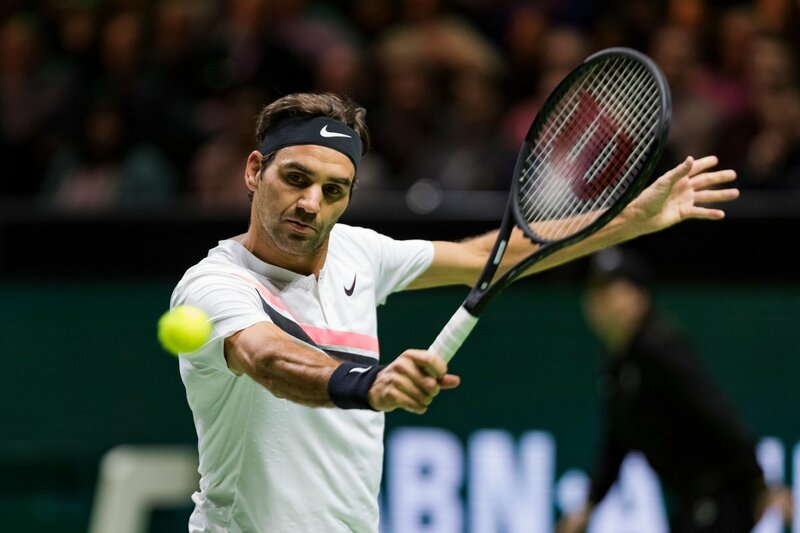 Read my original Federer vs Djokovic Paris Masters match recap. Why no Cilic Australian Open Final?! To pick your favourite matches, open the toggle below and select your five favourites (no more, no less). They're in reverse chronological order. I'll post the results in a few days! The results are in and you can see them below. There were 29 matches in total that received at least one vote. 78 people voted in total. And the top 3 matches were in 50% or more of everyone's selection. Kei in Shanghai sure good one…Coric in Indian Wells to as he managed to find a way…. And the other 3? ? The best Federer’s match 2018 was Thiem vs. Nadal in QF at US Open. Why this is not an obvious joke? It was elected the best GS match 2018 and for a good reason and it was a match, in which Thiem did deliver an epic battle deserving the CLASSICS status. And I believe, Thiem is goping to be the closest follower of Maestro. Not (yet) in terms of trophies. So far in terms of a kind of TRANSCEND TROPHIES, showing the game, it’s closer to Federer’s maestry than any other player on tour. And Thiem is taking every year more from Federer, still behaving his own style, nothing to do with a power game of players like Zverev or Delpo or others 198+. I’m still hoping for such match to happen between Federer and Thiem. Hopefully in some GS final. I thought Djoker Vs Nadal at Wimbledon was probably better. I guess you are back into troll mode here. Or the spring water supply in that forest you live in has been contaminated with some LSD ? But Federer and Thiem are like chalk and cheese. Their games are in no way similar. Thiem is the quintessential power player. If things aren’t going too well his playbook is to hit harder and harder. You must be watching a different player. And I’m a Thiem fan but he’s very 1 dimensional. Federer had 40 titles by the time he was 25. Thiem has 11. I don’t doubt Thiem will improve but to closely follow Federer’s mastery is codswallop. Stop to accuse me of trolling, OK? Or everything but praising Federer trolling for you? Yes, it seems we are watching different players. It’s obvious, I’m not only watching Thiem but also deeply analyzing his game. He’s not my idol. I don’t compare his career with Roger’s career. But if we look among younger players for a kind of followers, for me the closest one is just Thiem. Who is it for you? Nobody? Thiem is not a power player. Or you don’t understand, what power game is. There are two ways to make a serve or any other shpt fast: using muscles or using skills. Or specific features, like being 250cm+. but then the deciding factor is not a speed but trajectory and angles. As of late there was an outstanding dropshot with side spin from Federer (incidentally against Thiem or I’m wrong?) Thiem can hit dropshots with even more side spin, but they are not called hot shots. Look Thiem vs. Nadal at USO – only one thing. Nadal’s face trying to read Thiem’s serve. How many times he was not able to read. Is this not Federer’s very special feature? I don’t pretend to see a copy of Federer in Thiem. I would not want to see in him a copy of anyone. He isn’t. I have told, it’s not about comparing winning achievements. I don’t expect him close to that. This has many reasons, among them Thiem’s humbleness and humility. If you need such comparisons, look, how many titles had Nadal and Federer at the same early age. So what? Everyone has his own calendar. I’m not sure what deep analysis you are doing but it’s clearly garbage. Have you seen his forehand speed and RPM rate data from hawkeye?? The guy hits absolutely huge, look at the size of his swings. Seen as though you watch all his matches – when Thiem is struggling what does he do? He hits harder both off the ground, on the return and on serve. Height is irrelevant, your argument seems to be if you’re under 6ft 5 then you can’t be a power player? Thiem can’t volley, can’t hit an effective slice. What can he do? Hit huge of both wings with a ton of spin. These aren’t criticisms either, just saying his game is limited in those areas right now. And it has nothing to do with being scared of comparisons. I’m just pointing out the comparison is ridiculous. I’m fine with them when they’re accurate, look at Dimitrov’s game, for example, there are similarities to Roger’s in a lot of ways. If you want to make a comparison to Thiem, I’d pick Nadal as a comparison in terms of their love for clay and work rate. Once more. We seem to understand very differently the term “power player”. I differentiate between power coming from big muscles. Both Nadal and Federer have big muscles, but different body builds. Now look on Thiem’s body. In terms of tennis Thiem has no muscles. He is rather slim, closer to Djokovic than to Nadal. They all are about the same body height, but different weight. You cannot have big muscles and be lightweight. Both Fed and Nadal are 185 cm/85 kg. Thiem is 185 kg/78 kg. Djokovic is 188 cm/77 kg. You can see this , when watching them all shirtless, you can see and compare calf muscles all the time. Now here is the point, when we see things different (why not?). You probably think on power in terms of how fast are shots. IMO shots have never power – only speed and spin. Now the point is, you need something to generate this speed and spin. Some do this with muscles (raw power) – of course not possible in tennis, to have only power but no skills – other with technique (skills). That’s where I see some similarity between Fed and Thiem. When a bit younger, Fed hit regularly topspin around 400 rpm, Thiem hits now (with different racket and strings) 3000-3500. Was Federer power player in his prime time? We cannot really compare speed from 2005 and 2018. Between these two time points there was a big revolution in stringing. You speak about Thiem’s full swing. Thiem’s swing is (especially on clay, where the player has more time) deeper than on hard, but in last 2 years Thiem developed shorter backswing and is constantly improving it. .It cannot of course be compared with Federer’s half-volleying. This is completely different technique, allowing to use the energy (not power) of the coming ball so the player can avoid to use a lot of own energy. But hitting hard like Thiem does means just some perfect technique, not raw muscle strength. If you watch his groundstrokes in slow motion, you will see, how much all the body is involved. He jumps and makes some special body movements in the air, all this making his whole body a powerful spring, generating speed and spin. Again – not a raw power like for Nadal, Delpo, Raonic (2 years ago, now no more). You say, Thiem cannot slice well. His volley is poor. If you would follow him, you would see big progress in both shots in last 2 years. Depending on the style of the opponent, Thiem can make and win lots of net approaches. IMO his smash is a weakness (often 2-3 smashes needed to finish, often smash landing out). Not volley or dropshot or slice. The difference is, how often he uses these shots. Not very often. Why? The same kind of reason, why he is not giving interviews in French. Not feeling perfect and fluent enough, but some say, he is fluent enough (you will know his special motivation to learn French and you now his work ethic, the same in tennis and in learning languages. Some year, maybe 2019, you will see Thiem playing more volley and slice. Both are decent right now, but he is not convinced they are, so he plays more frequently shots, where he feels “perfect”. His serve was still a weakness until 2017. Now his serve is a weapon and he knows, how to use it. 2017 he was focused on hitting fast serves – 130-140 mph. Too many errors. Now he serves 110-120, but more variety, more aces, less readable. I understand, you don’t focus (and will maybe never do this) on Thiem’s game development. If you want and I have necessary time, I can do for you a video compilation showing and proving this. I have all his matches since September 2017 recorded. I will find without a problem dropshots with better sidespin than Federer’s hot shots. I will find slices very similar to Federer’s. The only difference (to advantage of Thiem) is, his topspin backhand was always fast like Stan’s, while Federer started to hit topspin backhands very late in his career. So Thiem is here more versatile, because he can rely on switch almost every time from slice to topspin down the line and his strength here is not so much the speed, but acceleration. And when switching from slice to topspin Thiem has almost no backswing. I could tell you (and show on videos) more, but I doubt you are really interested in. Comparing someone to Federer is stupid. I’m not comparing them. You think, there is more similarity between Fed and Dimitrov. Of course it is. Because Dimitrov was all his tennis life trying to copy-paste Federer – on and off court. Both with mean effects. He’s still Baby-Federer, unfortunately the “baby” is now quite old and not so high in the ranking. Thiem relies on own style but he’s learning with great intensity and is not a party boy like Grigor. When Thiem reaches some point (in game’s quality), it stays forever (or he has some bad luck with injuries or illnesses. He is better every year, especially in slams. There is no guarantee, he will only go high over all career. But so far he does. No bang, like Kyrgios, Shapoivalov, Zverev. But he is coming. I fear Fed is rather going than coming, so not many chances for them to play an epic together. Struggled to read this as there are no paragraphs so just skimming. You define power players as ones with big muscle mass. But you called Zverev and Del Potro power players in your first comment? So I don’t get it tbh. There isn’t a pundit or fan on the planet that would say Thiem isn’t a power player with his game style. Apart from you of course. A power player to me is someone who can hit the ball huge off both wings. Whether it’s flat or with a ton of spin doesn’t make a difference for me. Whether they do it with racquet head speed or brute force makes no difference. Berdych – power player. Thiem – power player. Wawrinka – power player. Their go-to plays for winning points are to hit through the court. Each of them doing it slightly different with varying spin and technique. What was the change in the string between 2005 and 2018? You are also making an error here by using ATP numbers for weight and height. These never get updated. They are not accurate. And I’m not really interested in video of Thiem. You seem to think I am saying he hasn’t improved. You can see the improvements week in and week out. But his slice and volleys are relative weaknesses. And at 25 it’s hard to improve those dramatically when you have never volleyed as a kid. Djokovic has the same issue, he has been able to improve his volleying slightly but it’s still a very sub-par aspect of his game. As is the overhead. The good news for him is that he’s the best defensive player of all time so it’s not too big a problem for him. You speak (and think) English, I speak (and think) Chinese. We have no common language. I give up. Thank you. Enjoyed the comment war. Well it was a skirmish. Looking forward to whatever concessions you come back with. You did like it? OK. Let’s continue. I think, there are some misunderstandings (maybe because of the level of my English, I’m not much better in Chines, but for sure in German and Polish – I guess, we cannot discuss in any of these languages. First misunderstanding – my goal is not to prove, Thiem is going to be next Federer. And there is no direct similarity in their game. 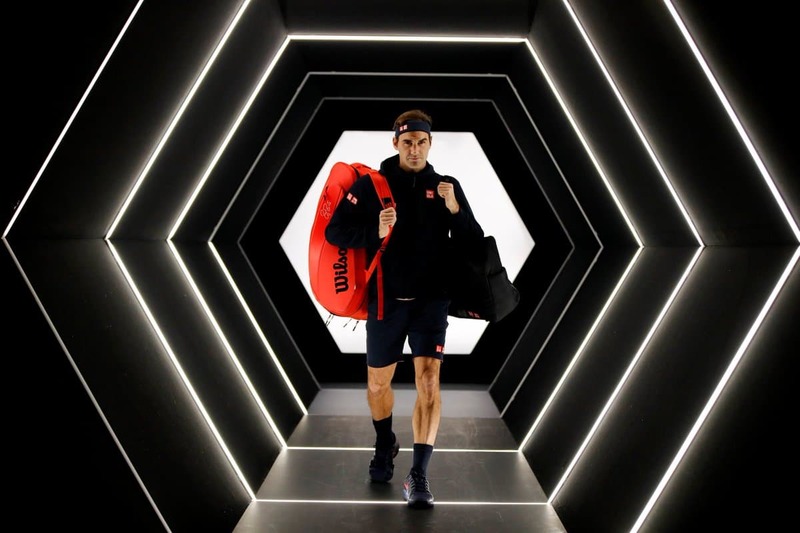 First thing, we were not talking about so far is Federer’s full bag of trick shots. Then there are many others. Federer is slicing since ever and has developed big slice variety. Not comparable to anyone. Federer was hitting backhand only 2017 and this was the year, when he won all matches against Nadal. This does not work anymore. Age. Not a shame. Also the comparison of achievements is obvious and I’m not blind. But I know more than your(again not a shame) about background of early years of Thiem, since 8-10 years old. Thiem is LATE MATURER – in terms of physiology he is 3-4 years “younger” than his age-mates. Not much sense in such comparisons. Nadal was for once very early maturer and had 46 titles at 25. More than Fed. So what? Give Thiem 3 years more. And think about difference between competition intensity in Federers prime time and in Thiem’s prime time, which is still to come (these 3 years of late maturing are not going compensated, he belongs in this sense to Zverev generation). But5 again, I don’t expect Thiem to come close to Federer’s records – if someone comes, it will be Nadal or Djokovic – no one from the younger generations). After we have explained our understanding of “power play”, I can only say – yes, according to your understanding Thiem is power player. But another sort of power player than those, who hit the ball from the height or those who create speed and spin with raw power/brute force/muscles/whatever. Thiem is 1-dimensional and can only hit huge from both wings. This is no more true. Don’t compare him with prime Federer. Compare him with the rest of the field and with his game 1 or 2 years ago. Thiem is offensive player, defense is his weakness, where he needs to improve to have mor wins, not necessarily to make his game more-dimensional. So where I see, not direct similarity (have never seen such similarity). I see rather, Thiem is the closest to Federer’s game from the rest of the field. Dimitrov? Federer’s bad copy. 8 titles at 27. Only 1 at 25. Humility and humbleness? Forget it. Dimitrov”s similarity to Federer is superficial. He copies Federer’s serving routine. He hits some fakeshots, not many and also bad copies of Federer’s biggest weapon. Probably I have wrote it before, but it’s another factor in the comparison . I’m often watching Thiem’s practices. He has skills for more – dropshots, volleys. Now this is just his humbleness and humility (maybe to his disadvantage). He plays iin matches only this, which he believes he can do it well. This makes somehow his overall game 1-dimensional (maybe 2?). 2 years ago his serve was a big weakness. Now it’s his big weapon. Since 1-2 years he plays more and more (lot of this to see in the Nadal match at USO) very aggressive return, stepping inside the baseline – and these returns are more effective than Roger’s SABR, but similar. If he decides to play it or is required to, he can hit perfect dropshots and volley (again lot of this in Nadal match). To get to some final conclusion (so ling Thiem does not develop further and he will) – no much sense in comparing him to Fed, in any aspect. Just the only one. He’s the most successful of all one-handers (after Federer of course and Stan). He is one of not many one-handers on tour. Next comes Tsitsipas. Will he come closer to Fed? I don’t think. Rather to Thiem. Tennis these days is not a thing for another Federer. The same Federer, starting his career now, would never win a title. You asked, what were changes in strings between 2005 and today. I’m not an expert here, but I read experts telling, they are tremendous. They are highly customized these days. New materials, new features, whatever. I have not especially studied this subject, so it’s only my superficial opinion, but I found it on experts’ and players’ know-how. Just made some research. Watch this https://www.youtube.com/watch?v=ajKY9S681H4. Highlights from Federer-Roddick US Open final 2006, just being 25 (current Thiem’s age). Federer was then very very close to Thiem today. Playing 90% from the baseline. Coming to the net only to lose point, by being passed or sailing volley long. Only seldom to finish the point and win it. Most points won by groundstrokes. No dropshots, no fake shots. And this was just THE BEST FEDERER ever, no? Who was approaching the net all the time, was just Roddick, not Federer. This is the real base to compare Federer and Thiem. I cannot find stats to get to know, how fast where Federer’s groundstrokes and how big was the spin. Main difference: Federer was playing at this time closer to the line, but he didn’t have a big clay history before. Of course many other details. But according to your definition I would call him just like you call Thiem today – 1-dimensional (My Goodness, what I”m daring to say, hahaha …). Thiem was not so close to the baseline (on hard courts) 1-2 years before, but now he is coming closer (in the Nishikori match in London this year I have seen graphic showing, Thiem’s hitting point for the forehand was about 0,5 closer (in all matches in London) than Kei’s. and was about 0,5 m behind the baseline. Not so bad for someone who can still play only clay – hitting from 3-4 meters behind the baseline. Volley, slice, dropshot, serve&volley – all this is coming. Not in a hurry. 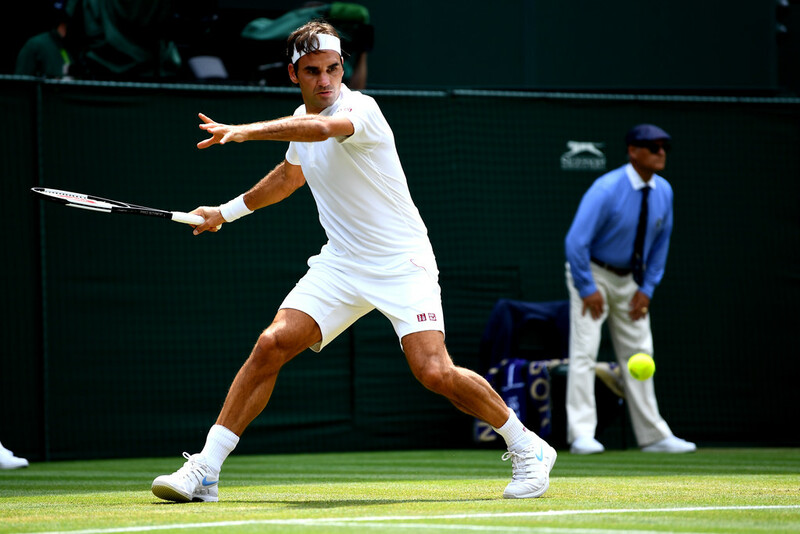 Federer was sticking to his baseline game for long years, so long it did work. In terms of age maybe Thiem will approach the net regularly earlier than Federer did. Well, I watched now only one match. But I believe to remember generally his game from those times – it was the same. Baseline. How can you write so much without any sort of paragraphs? Makes it so hard to read that by the time you get a third of the way through the motivation for continuing disappears. I try to read every comment but when it is a wall of text, it is impossible. Anyway, I’m not even sure what the point is anymore. All I said was for me Thiem is a power player and he’s not similar to Federer in any way, other than they both have 1 handed backhands. Technique, style, gameplan, they are miles apart. I think you want Thiem to be like Federer, and are simply drawing parallels when there are none. All I’d want as Thiem fan is for him to produce a consistent way to win points that doesn’t involve trying to hit bigger and bigger from the baseline. Federer did it in his prime by using his short slice and devastating forehand. Nadal did it by playing the same point over and over again for 5 sets. Thanks, Vik. Now that Jon is tested, I can continue to write whole posts in 1 paragraph. I’m sorry. I was trying hard. The very long penultimate post has paragraphs. The last was relatively short, but I could have used better layout here. My apologies. Again we watched different matches. In his prime Federer was using slice , but not so often. He was hitting more topspin backhands than last 2 years. But his topspin backhand was not devastating enough. It’s not my goal to prove, Thiem is next Federer. Nobody is. My point was, Thiem is not so 1-dimensional as you think. And no sense to repeat it. For me the Roddick match was good example of Federer’s game from his prime time. Built-up on baseline shots. Federer’s backhand wasn’t then a big weapon, so he replaced it over years with slice. A perfect slice. But not good enough to not make him vulnerable to Nadal’s forehand. That’s why he lost so much to Nadal over long years. Thiem does not need so much the slice, because his backhand is a bigger weapon. I expect Thiem to be himself, bot “baby-Fed” or something. I’m primarily Federer’s fan. Since some years Thiem is my choice. Federer is still my number 1. But I think, your Federer blog is good enough and when I want to discuss about Federer, I come here. I will stop to post anything about Thiem here. If you like, you can visit my blog to discuss about Thiem. I know, you will not. It’s OK too. On a side note. I must apologize daily for using long sentences when speaking or writing. You must not remember, but it’s a kind of my professional “disorder”. I’m translator. I have translated patents over long years. From Polish to German (where the predicate stays always on the end of the sentence). A single patent claim must be (for whatever the reason) one sentence. So you find in patents sentences with very complex structures and sometimes 3-4 pages long. This way I learned to write and speak and read and easily understand long sentences. But I know, most people have problems with such length. It’s all one solid block with zero spacing. @Jonathan. long sentences would be a problem, if they are 3 pages long, no? I have agreed and apologized so many times. I’m trying Should you implement the Edit function for comments (simple WordPress plugin), allowing delete or edit own comment during 5 minutes after the message was sent, I would have time to look on the comment and introduce paragraphs. If you post on FB for instance (I post a lot because Thiem’s official page is on FB, there are no paragraphs allowed. Each time you click Enter/Return, the post is finished and sent. Posting only occasionally on WordPress sites I’m automatically avoiding paragraphs. Use Shift + Enter to start a new paragraph to avoid enter sending the message on Facebook. Very interesting selection of Feds matches Jonathan.I must admit it is easy to forget so a nice reminder. Ye with the second half of the season not being so memorable they are easy to forget. Everyone is still reliving 2017. My mind still stuck in 2017, AO final ha ha ha. When it comes to 2018, maybe I will pick Roger vs NK at USO. The variety and shot making by both are so fun to watch. Roger vs Kei at Shanghai also in the list. Honestly 2018 is like a date that started well midway went downhill just cause your date decides to be dramatic over something trivia. I nearly put the NK won in. That round the net post shot prob shot of the year. Interesting picks. Yes, I’d add the match against Nick, loved that. And also the AO final, because of the first and fifth sets. And because it was #20. ? I thought I would be getting stick for not including any Australian Open matches. Maybe my disclaimer helped. It’s s long ago, we’ve forgotten. 😉 Although I think I did include an AO Match in me voting… I think the Chung match. Jonathan, I think your blog should be called “The Fast and the Furious”. You are on a roll. When I look at the list, I realize how many matches he played in a year. How many write-ups, how many matches I watched yelling at the screen in joy and agony. Tough to choose, can’t remember all of them without watching hi-lights. I love the photos. Fed in action, realizing how athletic he is. Dippy, I’m with you, AO 17. ha. His next career is to be a model after tennis. Some the pics of him while at Uniqlo store, so delicious. Yes cracked out a few posts since I had some time. We shall see if they dry up as motivation wains ? He hasn’t played that many matches though really. Skipping clay reduces it by a lot. Although played 1 more than last season which surprised me when I looked. Wow, surprises me too, well spotted. Thank God we have Jonathan! The tennis ‘authorities ‘ for some reason have to always pick a match where Fed lost as one of the best, or the best in most cases. How frustrating is that! Thanks for reminding us so many great matches he played this year. I absolutely love the Rotterdam first round one! If there was no epic win in the year, you select easy wins over mean opponents (Mannarino). And of course, all the world (funny, I thought so far, all the world is loving Fed) is against him. I don’t think their picks are done on the basis Federer lost! They pick like everyone. Subjective. Or they take some simple factors like how long was the match, how “dramatic” it was . How have spectators reacted. Match lost/won by one point after 4-5 hours of even battle. How match was on the line – Golden Slam, Career Slam, getting no. 1 a.s.o. It’s easier than take and define quality criteria. Well, I liked both matches too. I was very unlucky this year with Roger matches. Watched about 20 of them and witnessed every loss except the couple he lost to Coric. I’ve watched every crap loss by the maestro this year (Nishikori WTF, Djoker cincy, Anderson Wimby, Millman USO, Miami opener…). 1. Djoker Paris SF. That was a classic. 2. Cilic AO F. loved the way Roger has won the match before he even arrived to court. Cilic knew he has no chance if he lets Roger play his game, so he went for the lines and just couldn’t maintain such a level for 5 sets. In the first set he was still looking for his range and it had cost him the match. 3. Haase Rotterdam QF. Wasn’t the best match, but I like Haase’s style and it was a very special moment. 4. Pella Stuttgart QF. The only clean match from Roger on grass that I managed to see this season. Halle wasn’t pretty and I barely managed to get a glimpse of his better showings in Wimby. 5. Coric IW SF. Nothing to add to Jonathan’s write-up. Nice timely post just when we all got bored without Roger, thanks Jonathan. I’d vote AO final too, for obvious reason. Basel final for my personal experience. The most satisfying match goes vs Kei at Shanghai or vs NK at USO (vs Hasse Rotterdam with becoming No.1 is run-up) The best but saddest match was vs Djoker at Paris. The match I hated most was vs Delpo IW, yuck! I hated the IW vs. Delpo, too. Somehow, I just cannot bring myself to like Delpo, and I definitely do not like how he gets his biggest wins against Roger. He is like Marmite for Fed fans. Either they love him or hate him ? There is a particular detail about his technique that I don’t like: the exaggerated racquet takeback on the forehand. Coaches tell this all the time to beginners but after a while too long a swing becomes a liability, at least timing-wise. Maybe DelPotro gets away with it, but I’m not sure his body likes that. It does not feel natural to me. Yeah you gotta pick Basel. And it was a pretty good match with Copil’s style. As for Fed’s best matches, I also have a fondness for the Anderson match at the WTF. Fed was so focussed in spite of the Benneteau-turmoil at the same time. Waouh ! This morning at breakfast, I re-watched the end of the Cilic match at AO 2018 and Fed’s emotional speech… and I couldn’t refrain tears myself. Sorry, guys, I simply couldn’t. Same here, I can’t rewatch his speech without wet eyes. Ok, so I just had to watch the speech again. Wet eyes before he opened his mouth. We are hopeless. And I guess, we are both one-handers 🙂 And F ed Lovers, no? I think that most of their rallies were a bit long. The clay was drenched and the balls were soaked. I guess the texts are in French. No comments about Nadal being honored with Sportsmanship Award? About Thiem reigning in ATP 2018 Review (2 of 5 best matches, best GS match, 2 of 2 best rivalries)? I used these matches also at Jonathans voting pulldown. When will these results be published ? 390 votes in total which means – assuming no multiple votes are possible – there were 78 Federeresque participants. Respect Jonathan ! You could have submitted multiple entries of 5 if you had wanted to, but doubtful anyone (or many) did. Was there from the beginning. Yeah I just checked too, 392. Must be a mistake on one of the rows, will try work it out. Got it, Haase got 27 votes not 29.